Stockton University (Stockton or the University), seeks an entrepreneurial, creative and strategic leader to serve as the next Dean of The School of Business (the School). The new Dean will capitalize on the School's AACSB (Association to Advance Collegiate Schools of Business) accreditation and the new Stockton University Atlantic City to articulate a vision that aligns with the University's strategic plan, lead the School as it develops unique programs, and build external relationships and partnerships with business leaders in the surrounding area and beyond. 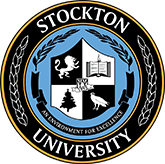 Stockton University is a public undergraduate and graduate liberal arts University that includes programs in the arts, sciences and professional studies. It is part of the New Jersey state system of higher education. Stockton's 1,600 acre main campus is located in the Pinelands National Reserve in Galloway, New Jersey. In the fall of 2018, the University opened Stockton University Atlantic City, its brand new residential site, approximately 20 minutes from the main campus. Additional locations include Manahawkin, Hammonton and Woodbine. The School of Business offers undergraduate and graduate degree programs in Business Studies, Computer Science, Computer Information Systems, and Hospitality & Tourism Management Studies. The School enrolls over 1,860 undergraduate and nearly 100 graduate students and has a budget of $7 million , 46 full-time faculty and 12 staff. Click here to download formal posting document. As the chief academic and administrative officer for the School of Business, the Dean reports to the Provost and provides leadership to students, faculty and staff. 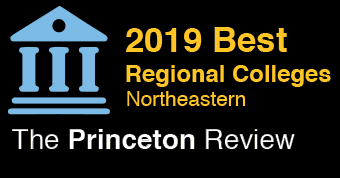 The Dean leads planning, accreditation program development, fundraising, administrative and personnel efforts to build and sustain excellence in the School's operations. The Dean works collaboratively with Stockton leadership, other administrators and deans, faculty and staff to advance the University and the School. Additionally the Dean is the School's primary representative and engages with external stakeholders to build visibility, reputation, philanthropic support and revenue. Stockton seeks a Dean for the School of Business who demonstrates exemplary strategic leadership ability, innovative drive and high energy and emotional intelligence. The Dean will bring a deep understanding of and respect for the importance of liberal arts as the foundation for quality professional education. The ideal candidate will have an entrepreneurial instinct as well as an outstanding record of leadership and management in complex academic or commensurate institutions. 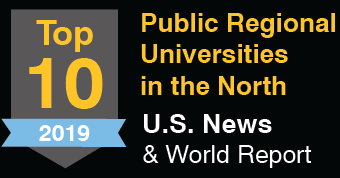 The Dean will engage community leaders in the surrounding region, external partners in academia and industry, and alumni in the work of the School, securing resources and building relationships of enduring institutional value to the School, Stockton, the greater southeastern New Jersey region, Northern New Jersey, and the New York, Pennsylvania regions. The successful candidate will also bring an appreciation for and provide leadership to the School on diversity, equity and inclusion among students, faculty and staff.